It is our job to bring all limango’s campaigns to the starting block and to ensure that each and every product in a promotion is perfectly presented and that the descriptions are always clear and informative. 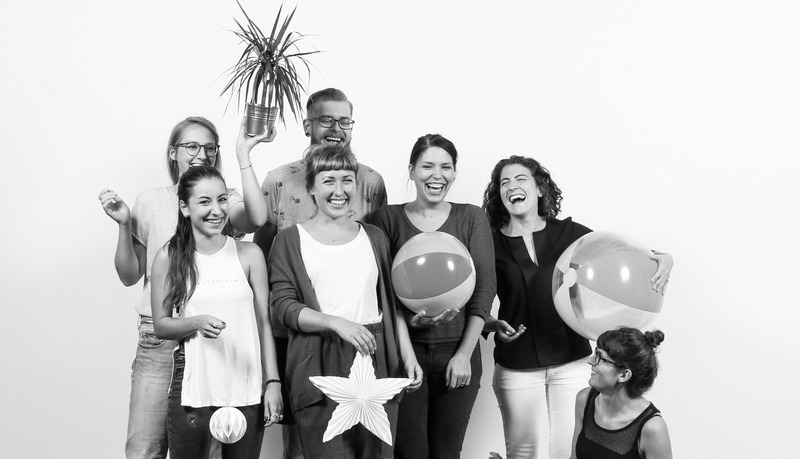 We are a large team – comprising 20 limangos in all – made up of copywriters, photographers and image editors. Every single product is processed by us before it goes live in our shop: from the photo shooting through to the image editing and the creation of product texts. Our aim is to get the best out of every product, both visually and textually, enabling a pleasurable shopping experience for our customers. While we are all very different, we support each other and trust each other completely. We all pull together and give our best, every day, to ensure that everything runs as smoothly as possible. We want to strengthen our brand visually and to present our promotions in the best possible way every single day. This way, we make sure that shopping at limango is fun! It is our job to interpret the ideas of the respective departments in a creative fashion. Most of our work takes the form of online formats – be it for social media or for the design of limango’s daily private shopping promotions – but there is more to it than that! Photo shootings, the creative presentation of limango’s Baby Boxes and even presenting our own fashion collections are also our responsibility! We value the creative exchange that is sparked whenever we discuss new ideas and concepts and we give each other creative input in our regular meetings. Our team is a great mix of limango old-timers and fresh, new creative minds! The atmosphere is always friendly and trusting, and it is very important to all of us that we are there for each other and that we can also depend on the support of our team colleagues during busy, stressful periods. Our Dutch and French customers should be able to get all the information they need about our products! As such, our job is to translate the German product texts or create new, country-specific product texts! We take the best aspects of the German version, adapt the product information to fit the language and culture of the country we are providing the text for and, if necessary, add missing information. We are a truly international team, working both at head office in Munich and from homes in various cities and countries. Drawing on the talents of native speakers, trained translators and content managers, we complement each other perfectly and are able to cover all aspects of content and language. Being able to discuss matters directly and swiftly is especially important to us! Our open communication channels and ability to act quickly set us apart! We also work with our own translation tools, which are specially tailored to our needs, and strive to continuously optimize both these tools and our processes! In comparison to many other departments at limango, we are a relatively small team. Our team spirit and our willingness to face even the biggest challenges and the most stressful times together and in good spirits are what drive us forward and ensure we always achieve the best possible results. Different languages and cultures unite in our team and we learn new – and sometimes amazing – things every day: For example, did you know that the French use the same word for bra cup and cap? !